Adjective. To have good self esteem or self-respect. 2: to have pride to do something. 3: something impressive. 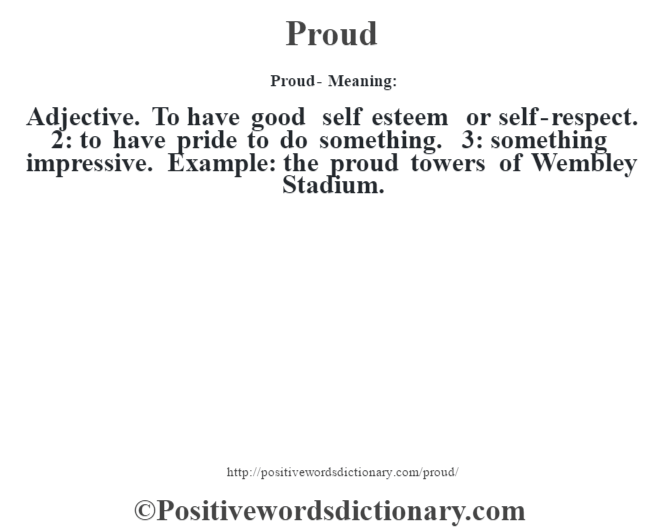 Example: the proud towers of Wembley Stadium.